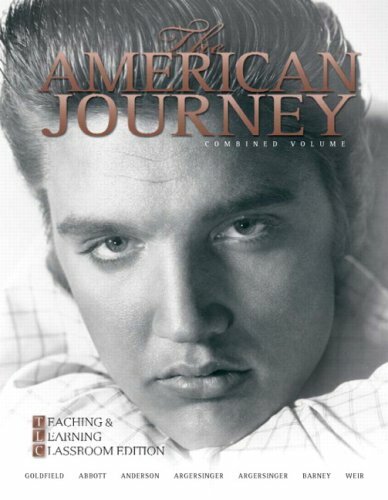 the authors toThe American Journeybegan in the classroom with their students. The goal of this text is to make American history accessible to students. The key to that goal--the core of the book--is a strong, clear narrative and a positive theme of The American "Journey." American history is a compelling story that the authors tell in an engaging, forthright way, while providing students with an abundance of tools to help them absorb that story and put it into context. This text combines political and social history, to fit the experience of particular groups into the broader perspective of the American past, to give voice to minor and major players alike, because the history of America is in the stories of its people.